Roselie came to live in Fond Blanc with her older brother Charlie in July 2012. They are from the village of Les Cayes where their parents and siblings remain. 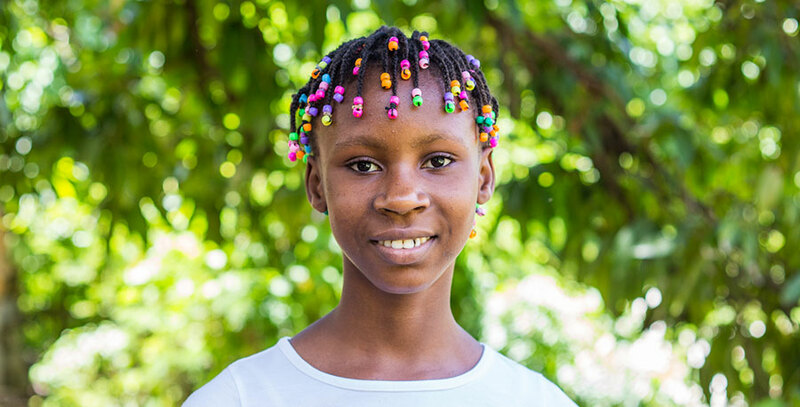 Back in Les Cayes, her father is a farmer and her mother is a vendor at the market. Charly and Roselie came here to receive a good education. Roselie is in charge of cleaning the tables in the morning and is happy to help with the chores here. She loves to jump rope with the other girls and her favorite color is pink. Her favorite subject to study is French because she loves speaking it. She would like to grow up and be a doctor. Once she has accomplished this, she wishes to return to Les Cayes and help her family. This will be her way of saying thank you for all they have done for her. She doesn’t have one best friend because she enjoys spending time with everyone.